FORMER No.2 draft pick Jonathan O'Rourke headlines a trio of Hawthorn players delisted on Wednesday. O'Rourke played 21 games across his six-year, injury-plagued career at GWS (2013 to 2014) and the Hawks, battling serious hamstring issues. He, along with pick 43, was traded to Hawthorn for picks 19 and 40 at the end of 2014. O'Rourke managed just 12 games in his four seasons at the Hawks after playing nine in his first two years at the Giants. Key defender Kurt Heatherley and rookie Dallas Willsmore were also not offered contracts. Heatherley, who hails from New Zealand, was signed as an international rookie in 2013 and played five games, including a three-game stretch from rounds 15 to 17 this year. Willsmore was delisted from the senior list at the end of last year but given another chance as a rookie. The midfielder was unable to add to his two-game AFL tally in 2018. 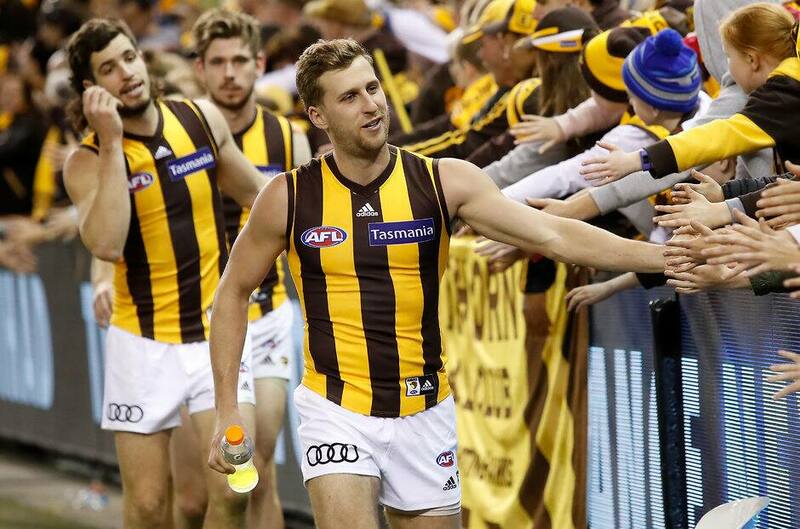 "On behalf of the club I would also like to extend our thanks to Dallas, Jonathan and Kurt for their contribution to Hawthorn," Hawthorn general manager of football Graham Wright said. "Each of these young men has demonstrated great commitment to Hawthorn and we wish them all the best in their future endeavours." Willsmore and O'Rourke were part of Box Hill's premiership win in this year's VFL competition.